Moran Samuel is a paraplegic who has been a dedicated rower for over six years in addition to playing on the National Wheelchair Basketball team. Moran participated in the London 2012 Paralympics, placing 5th. She recently won a gold medal in the ASWIX category at the 2015 World Rowing Championships in Italy and has her sights set on Gold in Rio. Defensive Shield” in 2002. A few years later he began rowing as part of his rehabilitation process. He is classified as a TA rower and represented Israel in Beijing in 2008 in a four rower boat (LTA) and in the 2012 London Paralympics in a double TA. In the 2014 World Championship in Amsterdam he won the sixth (final A) Double Double (MixTA2X). Yulia has teamed up Reuven in rowing while continuing to compete as a para-triathlete. Koby was severely wounded in combat activity inside Lebanon in 1996 while serving in the ‘Egoz’ Special Forces Unit of the Golani Brigade, leaving him wheelchair bound for life. Koby won a silver medal in the Hand Bike category at the Paralympic games (London 2012) and is a member of the Hand Bike Team of Tel Aviv’s Beit Halochem. Last year he won the Gold Medal at the 2015 World Circuit Tournament competition in Mangiano, Italy. He repeated this achievement last week when he came in first place at the Para-Cycling Road World Cup in Bilbao, Spain. Doron is a Paralympic silver medalist from London 2012, and the gold medalist in the 50 meter air rifle category at the German Open International Shooting Competition in Hanover in 2015, which qualified him for the 2016 Paralympics in Rio. Beit Halochem Tel Aviv’s Women’s Goal Ball Team is also Israel’s National Goal Ball Team. 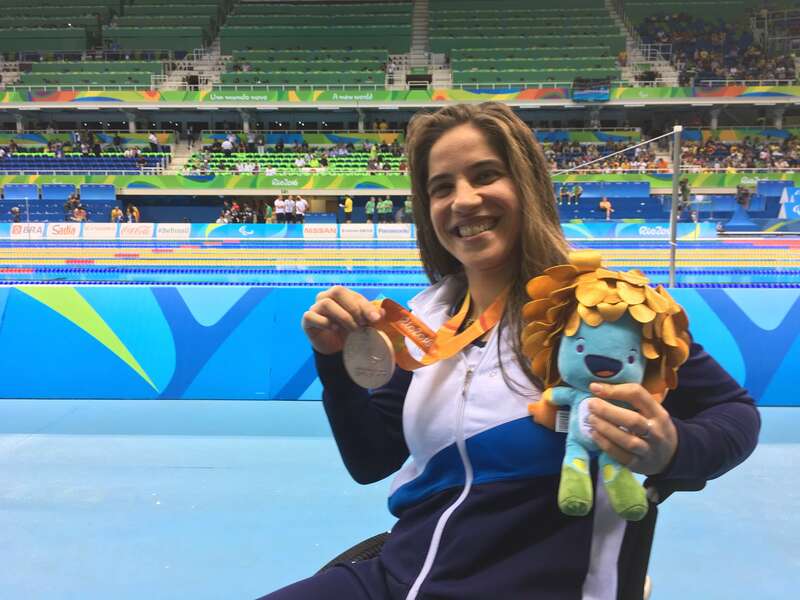 They most recently won the Gold Medal at the 2015 World Championship in Seoul, Korea, securing a place on the Israeli Paralympic Delegation to the 2016 Rio de Janeiro Games. Yarkoni, who lost his eyesight in Lebanon while fighting terrorists, was a competitor in the 2012 London Paralympic Games, and is now training vigorously for the 2016 Rio Paralympics. 29 year old Itai was critically wounded in 2007, while serving as an officer in the ‘Orev’ Special Forces Unit of the Paratroopers Brigade during an operational mission in the Nablus Kasbah. As part of his rehabilitation, Itai started playing tennis and participating in both singles and doubles tournaments. Itai is ranked fifth in the world in his category (Quad) winning the Polish Open Wheelchair Tennis Championship both in the singles and doubles category. Itai is on his way to the 2016 Rio de Janeiro Paralympic Games. Yoav, a member of the National team, was a member of the Israel delegation to the 2012 London Paralympics and has continued to compete in International competitions: 2013 World Championship finalist, 6th place; 2014 European championship silver and bronze medalist; 2015 World Championship finalist, 8th place; qualifying for the Rio Paralympics in 2016. Hagit is a veteran of the 2012 London Paralympics in Powerlifting. She is also a world class table tennis player and will be joining the Israel delegation to Rio in this category. Hagar, a paraplegic Zahal disabled veteran, is a mother of four small children. She participated in the 2012 Paralympic Games with Shimon Ben Yaacov. She is now partnered with her husband, Moshe for the 2016 Rio games. Hagar is the boat’s helmsman. Veterans of the 2012 London Paralympics, this crew is already in Rio practicing for the upcoming 2016 games. Pascale was a member of the 2012 Paralympic delegation, a double leg amputee, she participated in the hand cycle category. In Rio she will be representing Israel in the kayaking competition.